When it comes to reducing ping and lag for MMORPGs, I use ExitLag. We’ve all been there haven’t we, especially those of us who connect to game servers a continent or two away from us. We suffer from lag spikes at the most untimely moments, like during a raid or in a PvP match. It’s frustrating, annoying and it does ruin the quintessential MMO experience. What’s worse, is that no matter how we try to optimize our PCs and internet connection, nothing really works. That’s where software like ExitLag comes in. I’ve been using it pretty much as my daily driver to reduce my ping in MMOs (which is usually 280ms without). Here’s why if you suffer high latency like me, you should too. Before we get into the nitty-gritty though, new players or first timers will definitely have questions. What is ExitLag and how does it work? 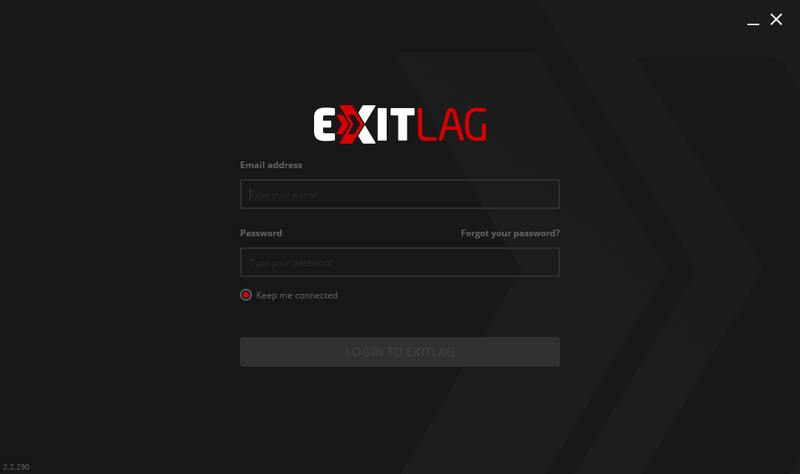 ExitLag is a software developed for players by players that optimizes your connection making it stable, decreasing your ping and freeing you from the feared freezes or spikes. Besides optimizing your connection, ExitLag amplifies the performance of your game increasing the frames per second rate with the FPS Boost tool, giving you the best resources for you to take the lead. From a more technical stand point, the software basically re-routes your connection to the game’s servers using the best available path from your location. Without it and you live far away from the game’s data centers, your connection will go through a ton of different check points along the way before reaching its end destination. This is what causes high ping for most players. What Games Does ExitLag Support? Plenty. The software currently has over 100 supported games on its roster, from classic titles to modern online games. More importantly for MMO players, everything you’d expect to see is all right there on the catalogue. World of Warcraft, Elder Scrolls Online, Guild Wars 2 and Final Fantasy XIV are the big guns and that box is ticked. Additionally, popular eastern games like Black Desert, Blade and Soul and more are included. The latter is especially good, because there are those of us who prefer playing the core versions of games that originated from the country that it was made in. For example, US gamers might want to play on the Korean version of Black Desert. Doing that will obviously increase their ping. Therefore, ExitLag mitigates that by reducing the ping. For a full list of supported games, check out this link. While MMORPG is our focus, ping boosting or reducing is also important for non-MMORPG titles. When it comes to online FPS and Battle Royale games, latency can make or break your enjoyment in competitive play. Therefore, we’re happy to report that games like Fortnite, PUBG, CS:GO and even DOTA 2 are all available in the roster. That should make your experience lag free and enjoyable. Is ExitLag Easy To Use? If you’ve used any sort of ping reducing software in the past, then the answer is yes. It’s arguable more hassle free compared to others due to its simple interface and drop down/drag functionalities. For the benefit of first timers, we’ll walk you through set up and how to get started. Firstly, once you’ve purchased your plan, you can log in and download the software. Once installed, login again using your information to begin customizing. Below is your dashboard. From here, all you need to do is browse for your MMO game on the left side, or use the search function at the top left. Once you have selected a game that you want to play with reduced ping, you will now select the region where the game’s server is hosted. For example, if you’re trying to connect to World of Warcraft in NA, then select and NA option. The real magic happens here, and ticking the “Use information about previously analyzes routes” will make ExitLag optimize your connection according to the optimized routes history. Simply put, it will find the best path to the game’s servers for you. You can also see the estimated ping rating in the results. You can also manually pick your routes. Once happy, hit the Apply Routes button. And you’re done. Your final step is click on your MMO game that’s been optimized by the software into the Connected box, and you can now enjoy a better gaming experience. Is ExitLag Safe To Use? While I was researching online before being an ExitLag customer, I had the same queries as everyone. Is ExitLag safe to use, is it legit? There have been other ping reducing software I’ve used in the past that have caused plenty of issues. Some come with hidden cryptocurrency miners that slows down your rig. Others have suspiciously slow and erratic software that makes you worry about starting it up at all. So far, I’ve had none of this issues with ExitLag which is a relief. And truth be told, it is on the higher tier when it comes to ping reducing software pricing. So, you definitely would expect a safe and functional product for the price. Conclusion: Should You Use ExitLag? The most important thing here for MMORPG players is knowing what works for you based on where you are, and what you plan to do. For a consistent ping and latency reduction for playing MMORPGs, ExitLag does the job without any fuss. Its large catalogue of supported games is another plus point, and the software’s interface and UI functionality is easy to use even for first timers. On things to consider, the price point is one of them. The plans range from $6.50 monthly to $35 for 6 months and that’s above the average price point for a lot of ExitLag’s cheapest competitors. But what you get what you pay for, and in this case its a 70% reduction in ping. Do we recommend ExitLag? Yes.